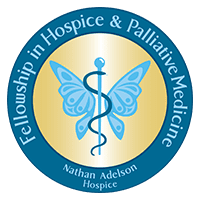 Nathan Adelson Hospice is the hospice of choice, employer of preference, training center of excellence and the community’s trusted partner for comprehensive end-of-life care. It is our vision that no one ends the journey of life alone, afraid or in pain. Fellowship in Hospice and Palliative Medicine. Find out about our Fellowship in Hospice & Palliative Medicine. 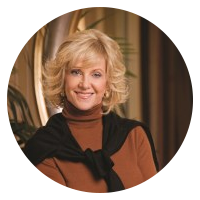 The Elaine Wynn Palliative Care Program focuses on relieving and preventing pain, symptoms and stress. Our goal is improved quality of life for you and your family. 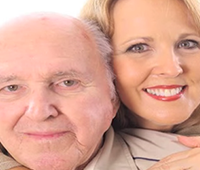 The Palliative Care Team is your trusted partner, helping you understand your treatment options and goals. 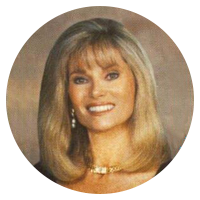 Bonnie Schreck, a dedicated wife, mother and community volunteer, passed away in February 1999 and in loving memory, her husband established a fund to keep her memory alive.